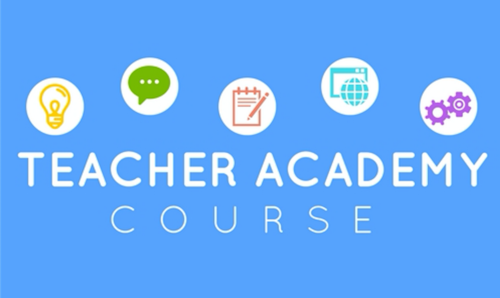 The content from the Teacher Academy course has been “made over” into a dynamic online course using the free and open COURSENETWORKING platform (www.thecn.org). Within the CourseNetworking Online Community, you can interact with others taking the self-paced online course, and get a Certificate of Completion if you complete the course requirements. The free self-paced and open online course addresses topics relevant to faculty members teaching in contemporary higher educational roles. Module topics cover: History of higher education, development of the community colleges system, how learners learn, learner motivations, strategies and techniques to engage adult learners, creating outcomes, effective instructional methods and assessment models. 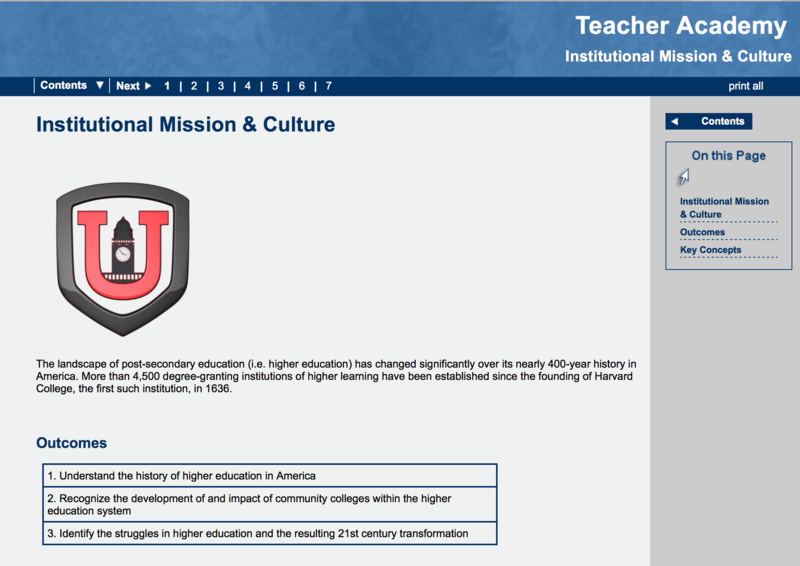 In this module students will gain an understanding of the history of higher education in America and recognize the development of and impact of community colleges within the higher education system. Students will also learn to identify the struggles in higher education and the resulting 21st century transformation. 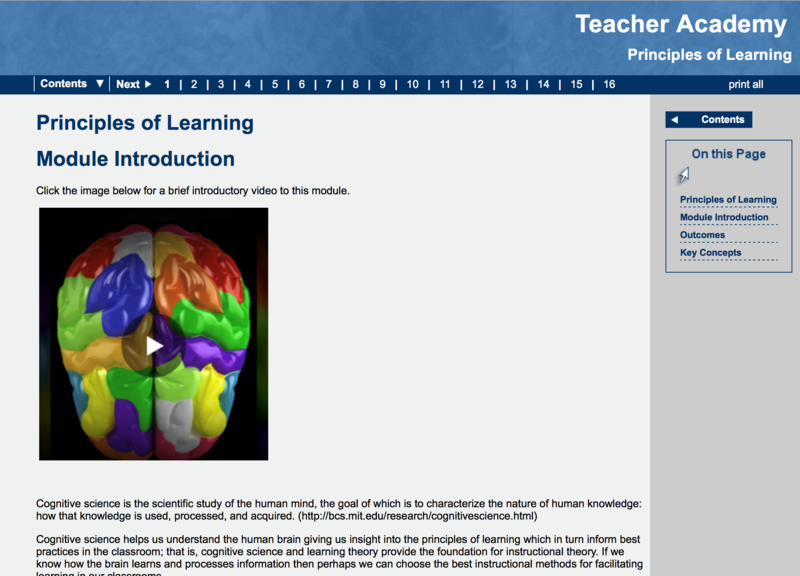 In this module students will recognize the complexity of the brain and how we learn. Students will examine the diversity of learners and their learning preferences and create activities which will meet the needs of diverse learning styles. The effect of brain-based best practices on learning will also be studied. Students will gain an understanding of the relationship between pedagogy and andragogy and recognize the three basic learning theories. Students will incorporate a constructivist approach to teaching and learning and apply principles of learning in both classroom and online environment. Of all the tasks expected of a teacher, one of the most important is planning. 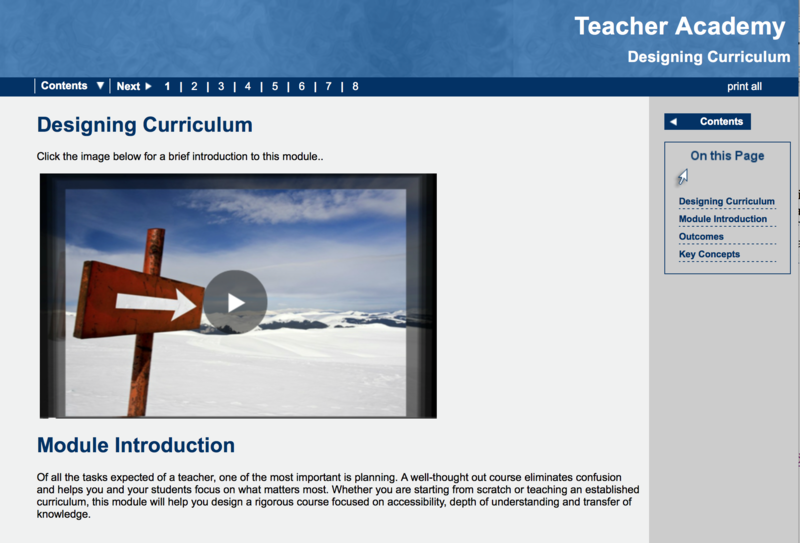 A well-thought out course eliminates confusion and helps you and your students focus on what matters most. 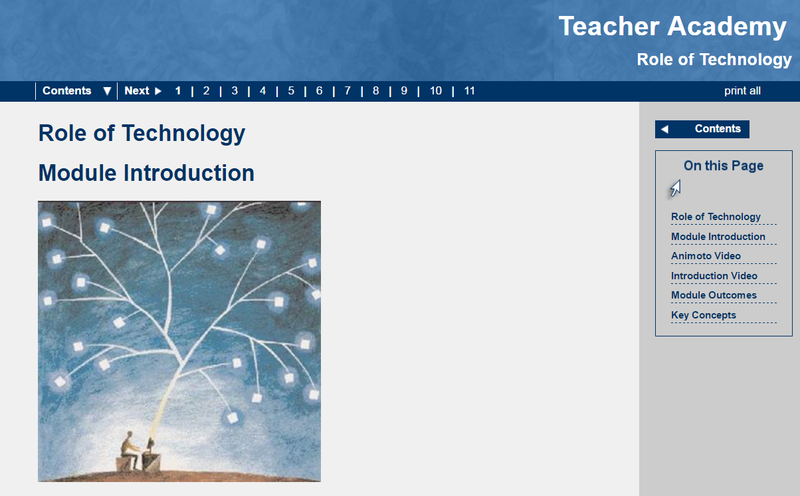 Whether you are starting from scratch or teaching an established curriculum, this module will help you design a rigorous course focused on accessibility, depth of understanding and transfer of knowledge. 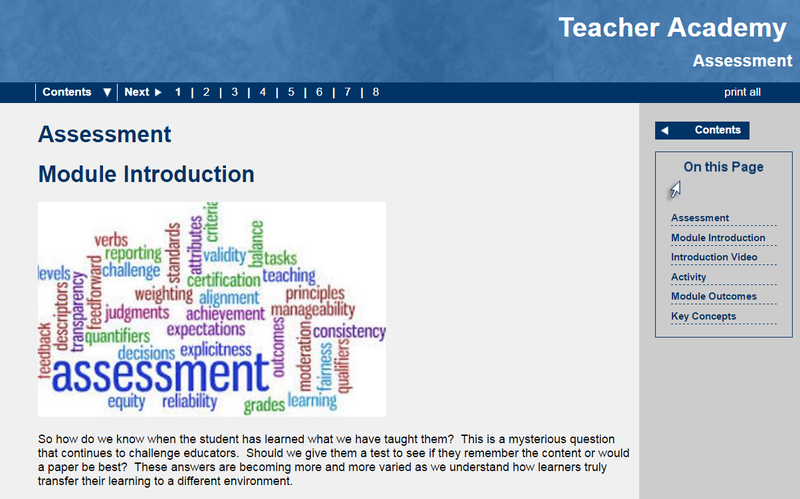 In this module you will learn to identify and discern the differences between formative and summative assessments. You will also research and recall best practices for both formative and summative assessments and learn how to create effective rubrics for assessment and examine how to align assessments against competencies. In this module you will recognize the importance of instructional strategies for transfer of learning effectiveness and identify steps and strategies to build a collaborative learning community. You will also classify and create strategies for engaging and motivating the learner and determine how to apply instructional strategies in both classroom and online environments. In this module you will learn best principles and practices for online learning and recognize the importance of utilizing open source materials for today’s learners You will also explore how to utilize core functions of the authoring tool SoftChalk and compare and contrast several online tools and support sources to enhance online learning. Finally, methods to prevent plagiarism in an online environment will be examined.